Used dimension from an antique Dry sink to make this project. Red oak wood stained medium brown. Has punched tin panels in doors. 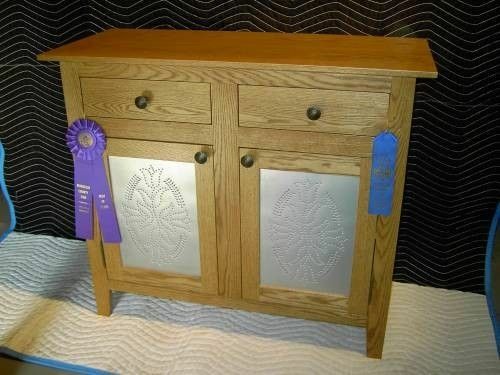 Won best of show with project at the Morrison County fair in 2011.